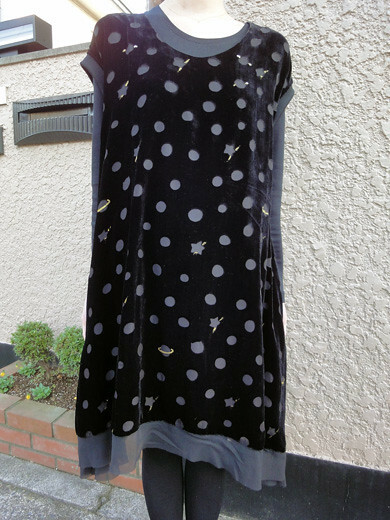 This is a lovely Star Dot Dress from Tsumori Chisato. Soft & flutter hem adds feminine flair to this wonderful dress. Star dots make me very happy.